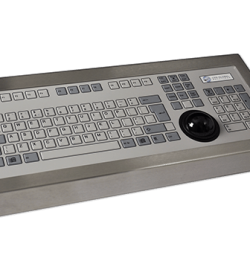 Our industrial grade 96P series keyboard comes with an IP67 rated stainless steel enclosure. This prevents liquid chemicals from damaging the internal components. An optional dual interface allows for engineering override if necessary. Maximum compatibility for specialised industrial applications. Streamlining the automated industrial processes require rugged computing devices. These PCs are used to monitor the system efficiently. But, its functional capabilities are also affected by the connected computer peripheral devices. It would be ideal to integrate an industrial keyboard to unlock our device’s full capabilities. 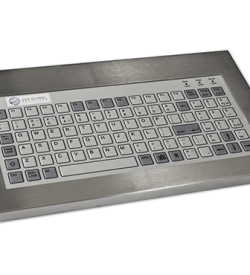 Our sleek 96-key industrial keyboard with a fast and responsive touchpad is designed for rugged applications which require precise and responsive peripherals devices. And, its bezel construction increases its structural integrity which ensures its reliability despite heavy usage. Does your industry focus on meticulously assessing meat quality? Are you in need of an industrial PC peripheral device that responds quickly and accurately to input? 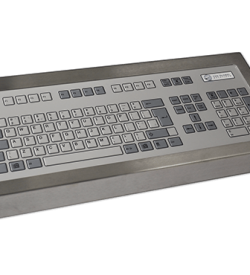 Our ruggedised 96-key keyboard makes it the ideal industrial computing device for any industry. Also, its mechanical keys were designed to withstand structural wear. It has an expected 1 million switch cycles in its product lifespan. Therefore, operators can expect that this device functions optimally despite prolonged use. Often, fast-paced, automated operations demand reliable computing devices and device peripherals to streamline production. Faulty keyboards can impede these operations and incur a costly delay. 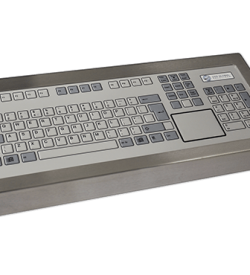 With the 96P series keyboards, it can withstand a high Mean Time Between Failure (MTBF) of 60,000 hours. So, expect that this device remains functional despite prolonged daily usage. Here are other benefits in building our rugged 101/102 PC keyboards along with our rugged PCs. Footprint design pertains to the amount of space a unit of hardware or software occupies. 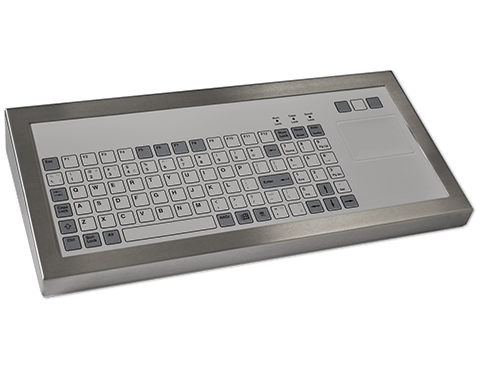 Our industrial-grade 96P keyboard is built with a sleek design which incorporates all of the critical keyboard functions. Thus, achieving a compact footprint size while retaining all of the standard features in a 101/102 PC keyboard. Industries which utilise heavy machinery during the automated process often have physical space restriction. However, our 96-key keyboard is built with a ruggedised touchpad which functions as the primary pointing device. Its compact design allows users to a reliable pointing peripheral device which does not take up a significant amount of space. 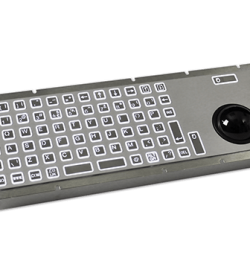 Our 96P keyboard features embossed mechanical keys. This makes it easier for experienced operators to correctly position their left and right hands without having to look at the peripheral. This helps operators to focus more on the other process and addressing issues which may come up. Executing precise automated industrial operations require the right computing devices along with the right PC peripheral devices. So, speed-up your critical process by using our ruggedised PCs along with our 96-key industrial keyboard with a touchpad today. 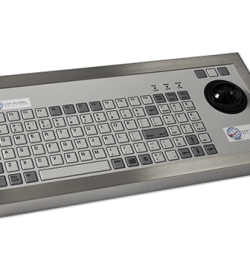 Download the FREE datasheet of our 96P series keyboard for more detailed specifications. You may also contact our representative through the number (+44) 01438 747111 for customisation inquiries. 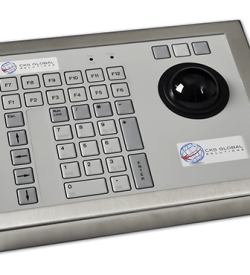 There are no drivers for CKS Industrial Keyboards, please contact us using the ‘Product Enquiry’ tab. Have a question about this specific product range? Complete the form below and a member of our team will be in contact with you shortly to answer all of your questions.